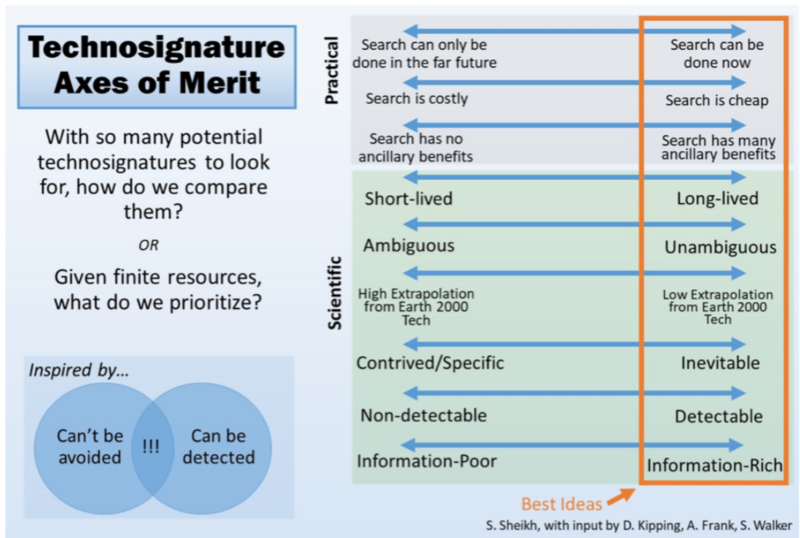 Technosignature axes of merit, illustrating some of the considerations that go into developing a good search strategy for technosignatures. 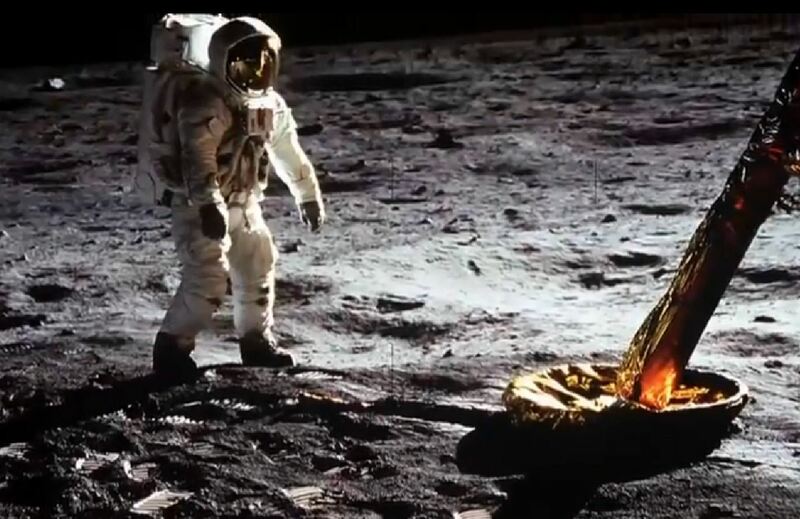 This report is the product of the NASA Technosignatures Workshop held at the Lunar and Planetary Institute in Houston, Texas, in September 2018. This workshop was convened by NASA for the organization to learn more about the current field and state of the art of searches for technosignatures, and what role NASA might play in these searches in the future. The report, written by the workshop participants, summarizes the material presented at the workshop and incorporates additional inputs from the participants. Section 1 explains the scope and purpose of the document, provides general background about the search for technosignatures, and gives context for the rest of the report. Section 2 discusses which experiments have occurred, along with current limits on technosignatures. Section 3 addresses the current state of the technosignature field as well as the state-of-the-art for technosignature detection. Section 4 addresses near-term searches for technosignatures, and Section 5 discusses emerging and future opportunities in technosignature detection. Nasa’s Curiosity rover has drilled a hole in a Martian rock with the intention of taking a powdered sample for its onboard laboratories to study. It is nearly 12 months since the power tool was last deployed for the purpose. 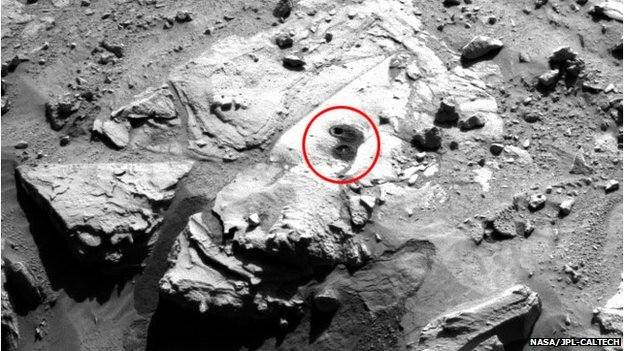 Pictures downlinked from the planet on Tuesday revealed a neat hole had been hammered in a rock dubbed “Windjana”. It is hoped this sandstone can yield insights on the geochemical processes that have helped shape the landscape at the bottom of Mars’ Gale Crater. The sample acquisition manoeuvre comes a week after the rover drilled a small test hole in the same rock slab. The new hole, just a few centimetres to the side, is noticeably deeper. By going further into the rock, tailings will have been forced up and into the tool’s collection chamber. Scientists and engineers must now decide whether this material has the right properties to pass to the CheMin and SAM instruments that live inside the vehicle’s belly. If the “go” is given, just a pinch of the powder will be dropped into the labs’ analytical bays. NASA released Aug. 22 new photos and video animations depicting the agency’s planned mission to find, capture, redirect, and study a near-Earth asteroid. The images depict crew operations including the Orion spacecraft’s trip to and rendezvous with the relocated asteroid, as well as astronauts maneuvering through a spacewalk to collect samples from the asteroid. 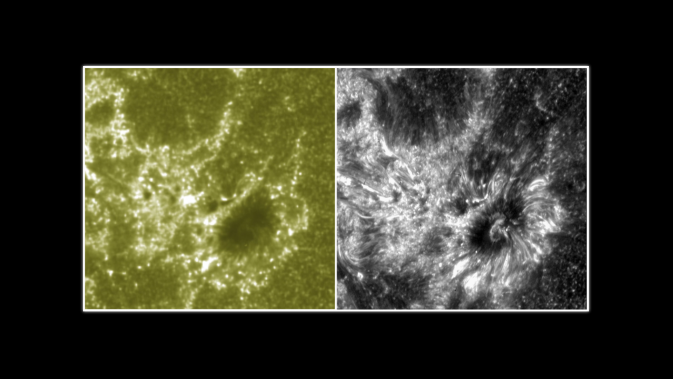 These two images show a section of the sun as seen by NASA’s Interface Region Imaging Spectrograph, or IRIS, on the right and NASA’s SDO on the left. The IRIS image provides scientists with unprecedented detail of the lowest parts of the sun’s atmosphere, known as the interface region. The moment when a telescope first opens its doors represents the culmination of years of work and planning — while simultaneously laying the groundwork for a wealth of research and answers yet to come. It is a moment of excitement and perhaps even a little uncertainty. On July 17, 2013, the international team of scientists and engineers who supported and built NASA’s Interface Region Imaging Spectrograph, or IRIS, all lived through that moment. As the spacecraft orbited around Earth, the door of the telescope opened to view the mysterious lowest layers of the sun’s atmosphere and the results thus far are nothing short of amazing. The data is crisp and clear, showing unprecedented detail of this little-observed region. The IRIS images of fine structure in the interface region will help scientists track how magnetic energy contributes to heating in the sun’s atmosphere. Scientists need to observe the region in exquisite detail, because the energy flowing through it powers the upper layer of the sun’s atmosphere, the corona, to temperatures greater than 1 million kelvins (about 1.8 million F), almost a thousand times hotter than the sun’s surface itself. IRIS is a NASA Small Explorer mission that launched from Vandenberg Air Force Base, Calif., on June 27, 2013. IRIS’s capabilities are uniquely tailored to unravel the interface region. Understanding the interface region is important because it forms the ultraviolet emission that impacts near-Earth space and Earth’s climate. Energy traveling through the region also helps drive the solar wind, which during extreme space weather events near Earth can affect satellites, power grids, and global positioning systems, or GPS. Designed to research the interface region in more detail than has ever been done before, IRIS’s instrument is a combination of an ultraviolet telescope and what’s called a spectrograph. Light from the telescope is split into two components. 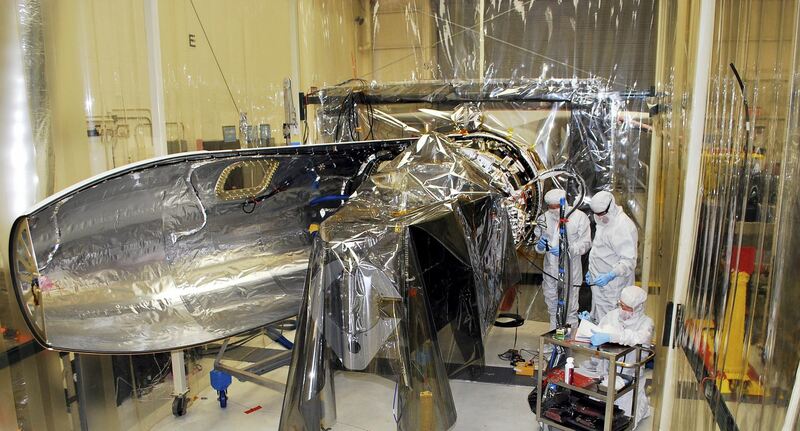 The first provides high-resolution images, capturing data on about one percent of the sun at a time. While these are relatively small snapshots, the images can resolve very fine features, as small as 150 miles across. While the images are of one wavelength of light at a time, the second component is the spectrograph that provides information about many wavelengths of light at once. The instrument splits the sun’s light into its various wavelengths and measures how much of any given wavelength is present. This information is then portrayed on a graph showing spectral “lines.” Taller lines correspond to wavelengths in which the sun emits relatively more light. Analysis of the spectral lines can also provide velocity, temperature and density, key information when trying to track how energy and heat moves through the region. Not only does IRIS provide state-of-the-art observations to look at the interface region, it makes uses of advanced computing to help interpret what it sees. Indeed, interpreting the light flowing out of the interface region could not be done well prior to the advent of today’s supercomputers because, in this area of the sun, the transfer and conversion of energy from one form to another is not understood. 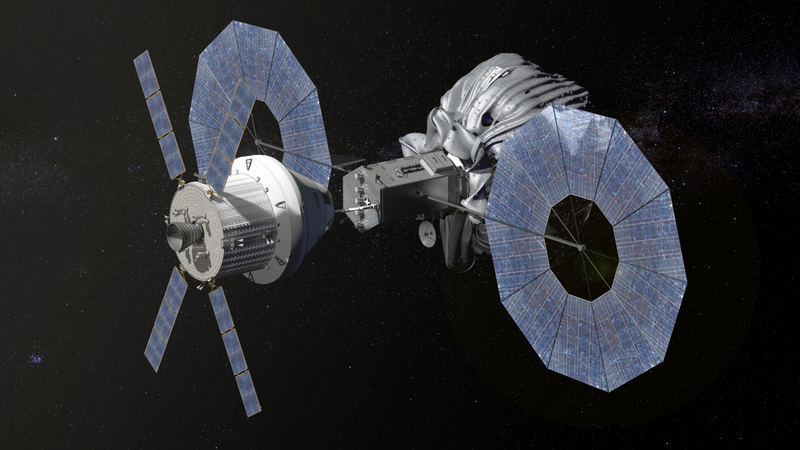 The IRIS mission has long-term implications for understanding the genesis of space weather near Earth. Understanding how energy and solar material move through the interface region could help scientists improve forecasts for the kinds of events that can disrupt Earth technologies. Scheduled to launch June 27, the IRIS spacecraft will point a telescope at the interface region of the sun that lies between the surface and the million degree outer atmosphere called the corona. It will improve our understanding of how energy moves from the sun’s surface to the glowing corona, heating up from 6,000 degrees to millions of degrees. There’s more to the cosmos than meets the eye. About 80 percent of the matter in the universe is invisible to telescopes, yet its gravitational influence is manifest in the orbital speeds of stars around galaxies and in the motions of clusters of galaxies. 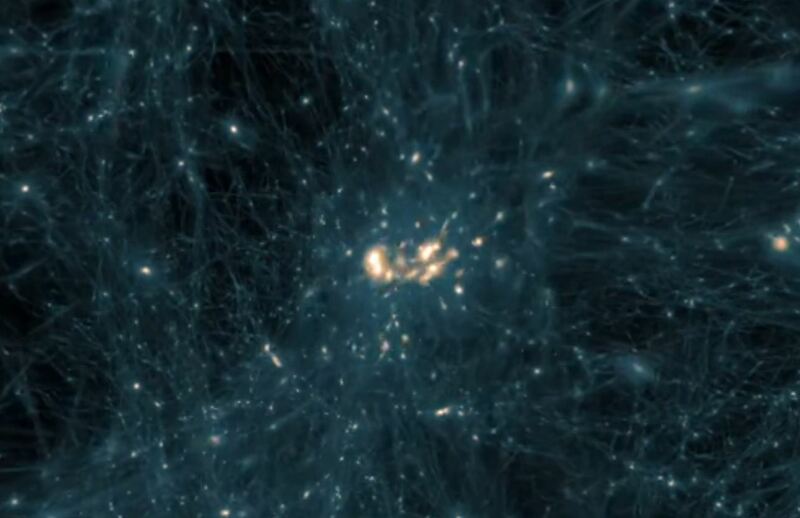 Yet, despite decades of effort, no one knows what this “dark matter” really is. Many scientists think it’s likely that the mystery will be solved with the discovery of new kinds of subatomic particles, types necessarily different from those composing atoms of the ordinary matter all around us. The search to detect and identify these particles is underway in experiments both around the globe and above it. Scientists working with data from NASA’s Fermi Gamma-ray Space Telescope have looked for signals from some of these hypothetical particles by zeroing in on 10 small, faint galaxies that orbit our own. Although no signals have been detected, a novel analysis technique applied to two years of data from the observatory’s Large Area Telescope (LAT) has essentially eliminated these particle candidates for the first time. WIMPs, or Weakly Interacting Massive Particles, represent a favored class of dark matter candidates. Some WIMPs may mutually annihilate when pairs of them interact, a process expected to produce gamma rays — the most energetic form of light — that the LAT is designed to detect. The team examined two years of LAT-detected gamma rays with energies in the range from 200 million to 100 billion electron volts (GeV) from 10 of the roughly two dozen dwarf galaxies known to orbit the Milky Way. Instead of analyzing the results for each galaxy separately, the scientists developed a statistical technique — they call it a “joint likelihood analysis” — that evaluates all of the galaxies at once without merging the data together. No gamma-ray signal consistent with the annihilations expected from four different types of commonly considered WIMP particles was found. For the first time, the results show that WIMP candidates within a specific range of masses and interaction rates cannot be dark matter. A paper detailing these results appeared in the Dec. 9, 2011, issue of Physical Review Letters. Why do we explore? Simply put, it is part of who we are, and it is something we have done throughout our history. In NASA’s new video, “We Are the Explorers,” we take a look at that tradition of reaching for things just beyond our grasp and how it is helping us lay the foundation for our greatest journeys ahead.